It's been three years since the "ribbon was cut" celebrating the opening of The Frank Kenyon Centre! It seems like yesterday, until we reminisce about all that has happened since then and all who have stayed there. From Green Turtle Cay's Amy Roberts Primary School to National Geographic's Exploration group, scientists doing research on climate change, coral, sharks, lizards, mangroves, turtles... scientists from Harvard, Woods Hole, UC Davis, Duke University, University of Miami, NC State, Plymouth University... A sincere thank you to everyone who made it happen! I tell the story so often of how the generous support from all the donors made The Kenyon Centre a reality. 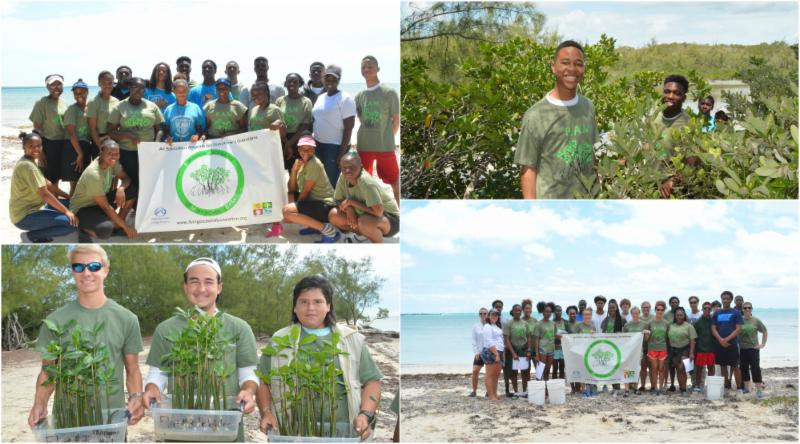 And since then there has been continued support to ensure that environmental education and conservation continues in Abaco and beyond. 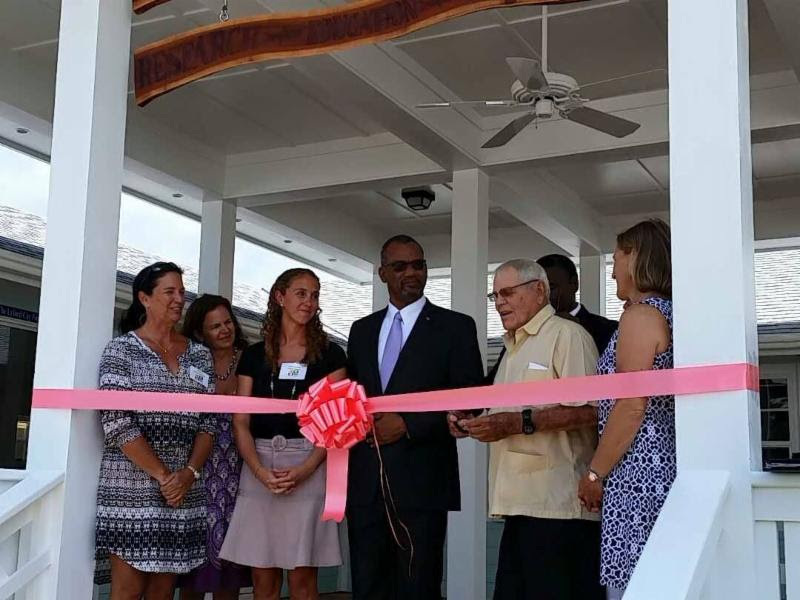 I can't express my gratitude enough for all of you who share in the vision and passion for protecting Abaco's environment and supporting FRIENDS and The Frank Kenyon Centre. Thank You! Thanks to those of you who supported the campaign by following or donating. 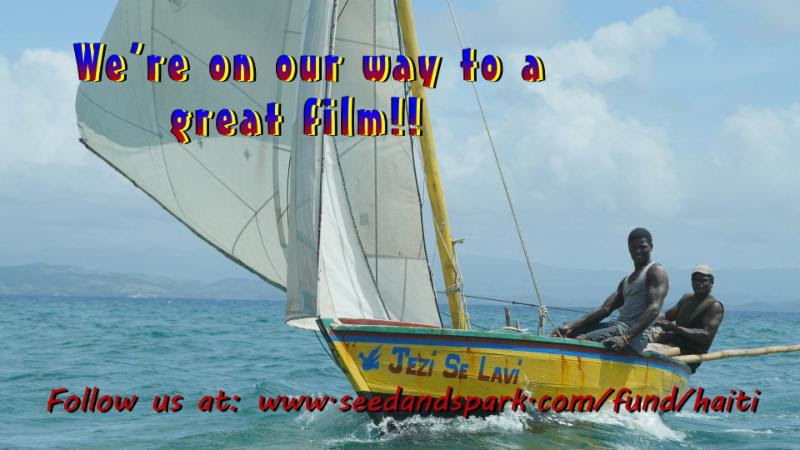 Conch Salad TV exceeded their minimum goal and will be able to produce the documentary sharing how conservation and research can help Haiti's fisheries! Also, FRIENDS will be listed as an executive producer and will be included in the opening credits. Stay tuned for news as the project moves forward. Next month, we'll be planning some student outreach in Abaco with Dr. Jake Allgeier! School field trips are in full swing here at FRIENDS for the month of April! Our education department has had field trips with Central Abaco Primary (96 students total), St. Francis de sales Catholic School (20 students total) and Long Bay School (10 students) this month. 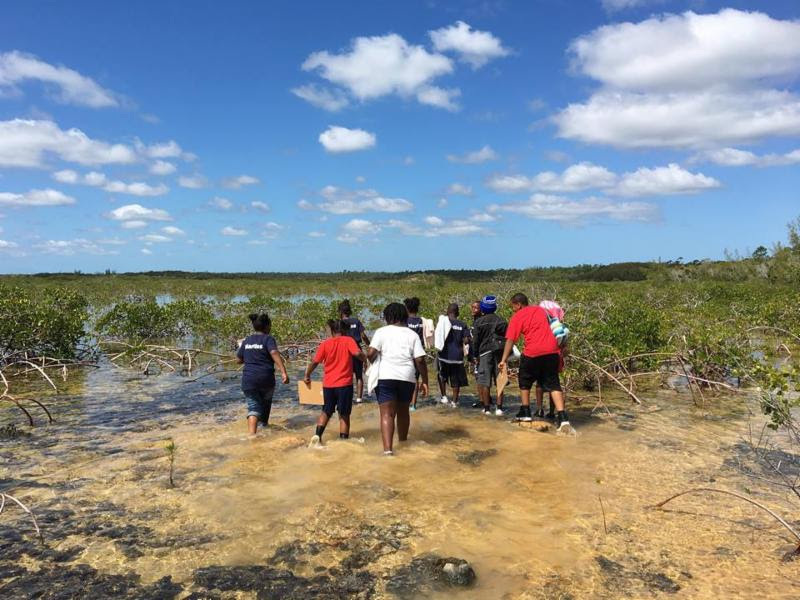 These field trips included a mixture of learning about ecosystems and fossils found in them, taking students out to the mangrove ecosystems at Camp Abaco, and having a tour of the Natural History Museum located at FRIENDS' office (learn more about the museum here). Grade 10 & 11 students of Patrick J. Bethel High School (PJB) and Forest Heights Academy (FHA) completed year 2, phase 3 and year 1, phase 3 of the B.A.M. program at the end of this month. Since 2015, FRIENDS has partnered with the Khaled bin Sultan Living Oceans Foundation to make this program possible. Through this program, students are able to go out in the field and conduct research on mangroves over a period of 2 years. Each year only gets better and we are thankful for this partnership! Thank you especially to Amy Heemsoth and the faculty and staff at PJB and FHA for making this possible. Theme: Investigating and implementing ways to eliminate single-use plastics. More info on project criteria and deadlines. We are having fun planning the fair, and looking forward to seeing what the students come up with! Today marks three years since we opened the doors of the Kenyon Centre. It sure has been a busy time, and we are very proud of the progress we have made. 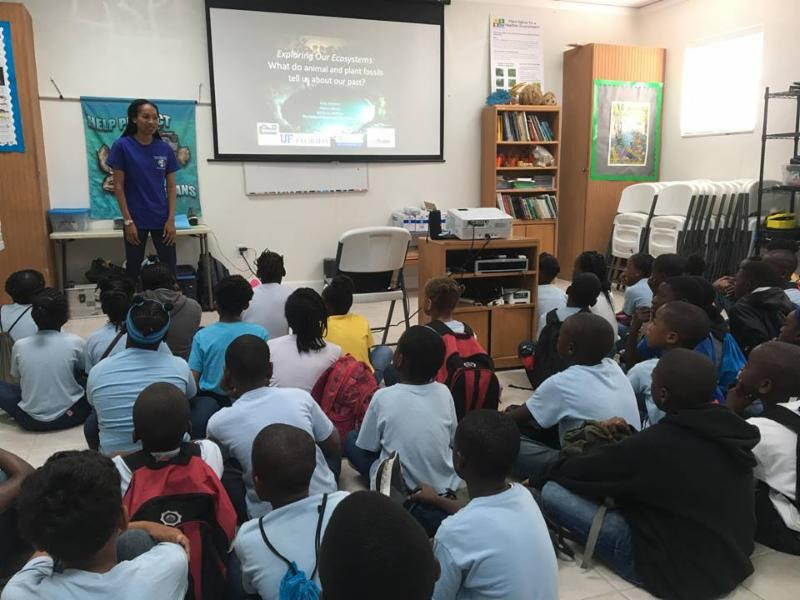 The partnerships that we have built and continue to build are setting up a sustainable model for research, conservation, and education in The Bahamas. - Over 30 different research projects facilitated through the centre, many are on-going and include community outreach components. - 53 different groups/institutions utilizing the centre, many repeat guests. Founder Frank Kenyon cuts the ribbon, officially opening the research centre which was dedicated in his name. As part of the Global FinPrint project, researchers have been filming sharks in coral reef and seagrass habitats throughout Abaco over the last several years. They recorded 10 different species! The entire Bahamas is a shark sanctuary. Fishing for, or sale of shark or shark products is prohibited. If you catch a shark by accident, please release it. 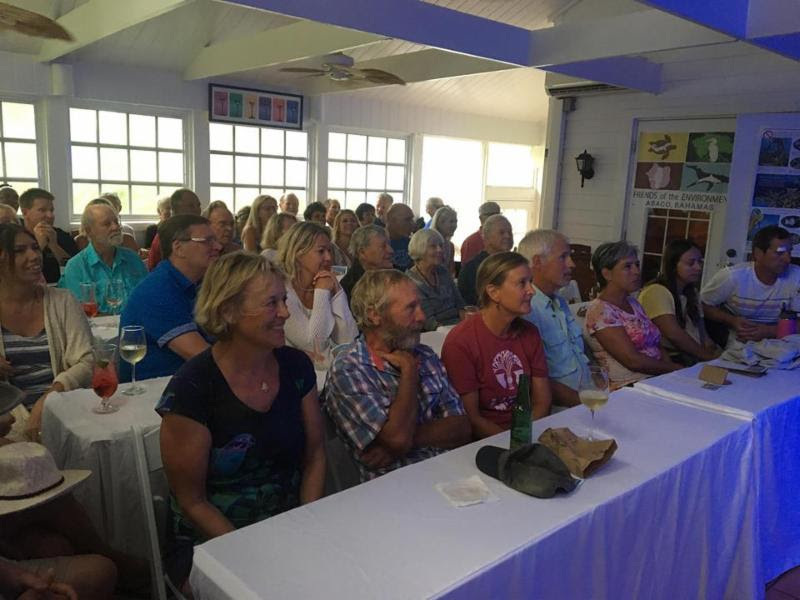 This past Friday we had a full house of interested community members and visitors join us for a showing of Chasing Coral at Hope Town Lodge. Chasing Coral dives into the exquisite underwater world of the coral reef ecosystem hidden beneath the waves. It taps into the collective will and wisdom of an ad man, a self-proclaimed coral nerd, top-notch camera designers, and renowned marine biologists as they invent the first time-lapse camera to record bleaching events as they happen. We were also joined by Craig Dahlgren of the Perry Institute for Marine Science, who is doing coral reef research and restoration around The Bahamas. We had a very interactive discussion with great questions asked, and are hopeful for the future of this ecosystem here! Thank you to everyone who came out! Here's a guide to things you can do in your daily life to help coral reefs. The Hope Town Zero Waste Program aims to reduce waste generated in Hope Town by implementing systems and activities reflecting the 4R's (refuse, reduce, reuse, recycle). The goal of the program is to develop a model of waste diversion and mitigation that can be replicated in other communities and islands. The program is a partnership that includes Hope Town Primary, Hope Town Association, and St. James Community Centre, and is funded by the Global Environment Facility Small Grants Program through the United Nations Development Program (GEF SGP UNDP). Follow them on Facebook! Read their program outline or Contact them for more info. 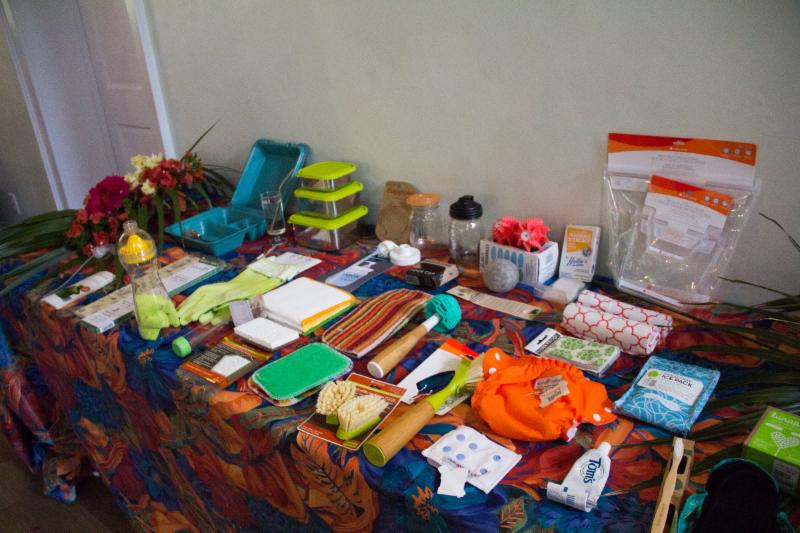 A display by the Hope Town Zero Waste Program demonstrating items that can replace single-use plastic in our daily lives. The Bahamas National Trust (BNT) recently published a 10 year plan for management of four marine parks in Abaco: Walker's Cay National Park, Black Sound Cay Reserve, Fowl Cays National Park, and Pelican Cay's Land and Sea Park. These four parks were combined into one plan taking into account the reality of resources and staff being shared between the sites. Information provided in the plan was developed through community consultation and research. The plan highlights park resources and threats to those resources and includes ways to mitigate those threats. The 10 year budget amounts to $13,374,560 and includes the need for 11 staff members across all four parks. The BNT will be reaching out to the community for further assistance in implementing the plan. More info available on BNT's website. 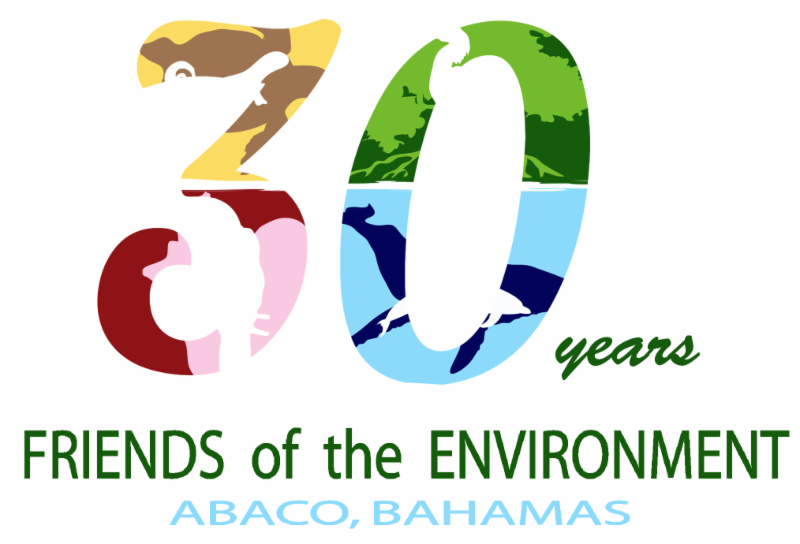 The Ministry of Environment and Housing created a taskforce comprising of The Ministry of Tourism, The Ministry of Health, The Ministry of Finance, The Customs Department, The University of The Bahamas, The Bahamas Chamber of Commerce and Employers Federation (BCCEC), The Bahamas Plastic Movement, The Nature Conservancy (TNC), Atlantis Paradise Island and Baha Mar Ltd., to advance an inclusive national campaign to phase out single-use plastics such as plastic bags, straws, food utensils and Styrofoam containers by 2020. By implementing a plastic and Styrofoam ban, The Bahamas will join more than 40 countries around the world including parts of the United States, The United Kingdom, Denmark, Ireland, Kenya, Rwanda, Haiti, and Antigua and Barbuda; that have already enforced or are in the process of formulating bans on selected plastic and Styrofoam products. 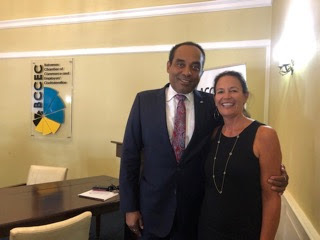 Executive Director Cha Boyce congratulates Minister Ferreira (Ministry of the Environment) on the Ministry's progress. Photo courtesy of Woody Bracey. Kirtland's warbler is North America's rarest songbird, however their populations are on the rise! Recent years of research have contributed to a better understanding of their habitats and behaviour, which include nesting in jack pine forests of Michigan and wintering in The Bahamas! 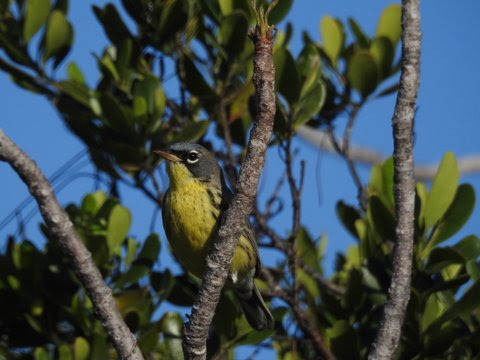 More about Kirtland's warblers and their Bahamas connection.